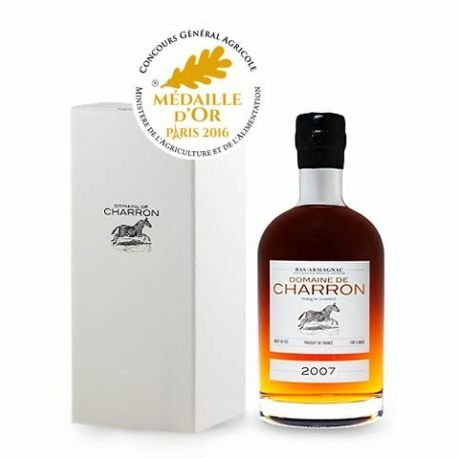 The Domaine de Charron being on an exceptional terroir, where everything possible was done to produce great quality Armagnac: the skillfulness of the best distillers from Villeneuve-de-Marsan, the systematic storing in new oak casks of every crop, together with a carefully chosen wine storehouse. A beautiful cask strength vintage between 10-20 years old. At this stage, the Armagnac has started to quiet down after the verve of the first years. Its character and personality assert themselves, as this brandy is expressive and balanced.